This is something we highly recommend doing if you plan on moving around a lot during the Winter. 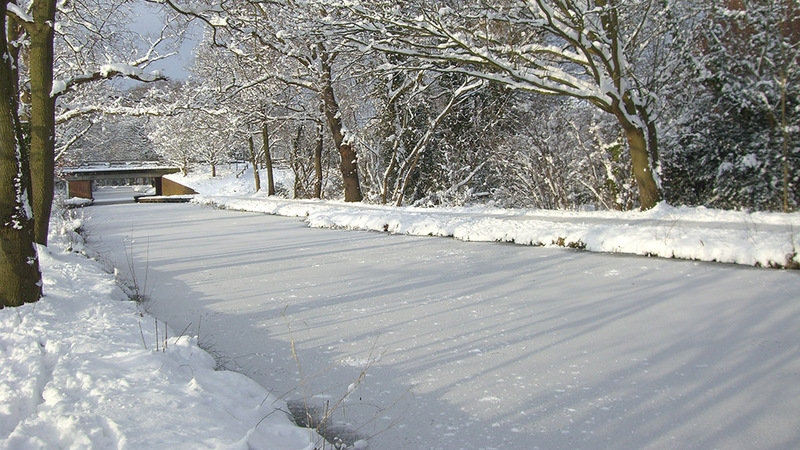 There is a high chance of maintenance and repairs along the waterways during the colder months, so check the areas you will be in and around to make sure you can get to where you want to go. 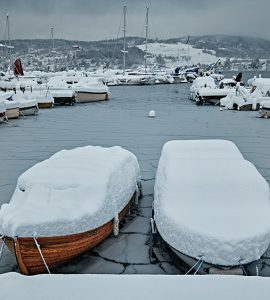 Try to make your Winter mooring as convenient as possible. We recommend somewhere close to a shop so you can stock up on provisions or use the toilet should yours be out of service. Breaking ice can be very dangerous. It is recommended to not break the ice if it is anything over half of an inch. Cruising through the ice in an attempt to break it can put a lot of strain on your engine and you can easily damage the hull of your boat with the ice by removing the blackening. Doing this can also upset other boat users as they will not appreciate having broken slabs of ice hit into their boat as you cruise by. 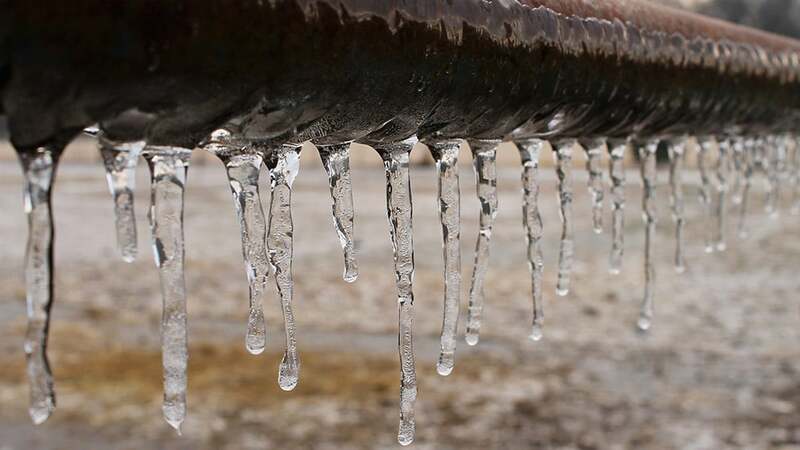 If the water is completely frozen (2 or more inches of ice) then you will not be able to break through and will just have to wait for the ice to melt before moving on. 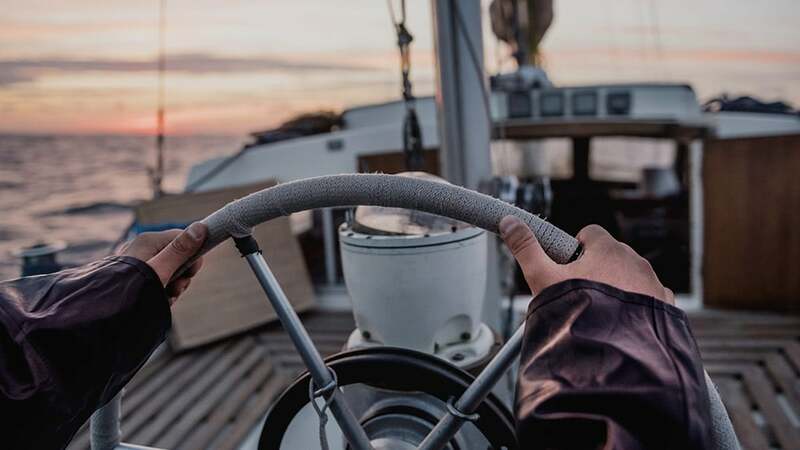 Some boat owners believe you cannot cruise in the dark, but this is only true if you have rented a boat. If you own one, then you can cruise whenever you like. 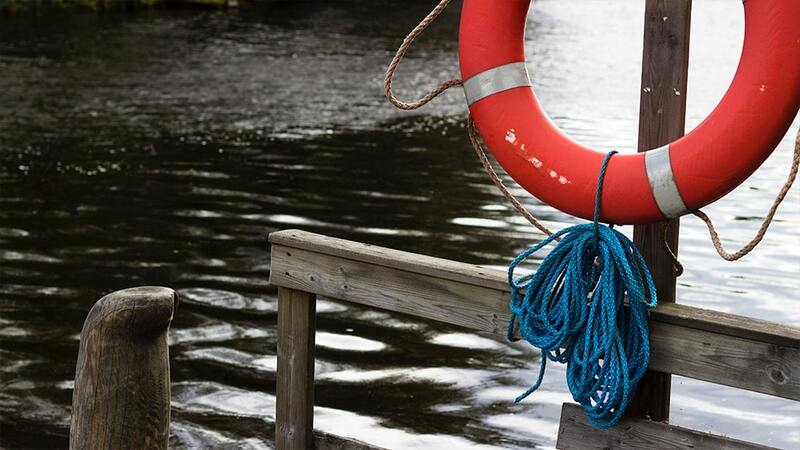 Do take into consideration that you may upset other boat users if you decide to cruise in the early hours. With the days becoming dark very early, it is recommended that you are as visible as possible. Make sure your boat has a good working headlight – without this, you could damage not only your own but other peoples too. Navigation lights may also be required. There are obviously more things that should be taken into consideration, but these are a very good place to start!